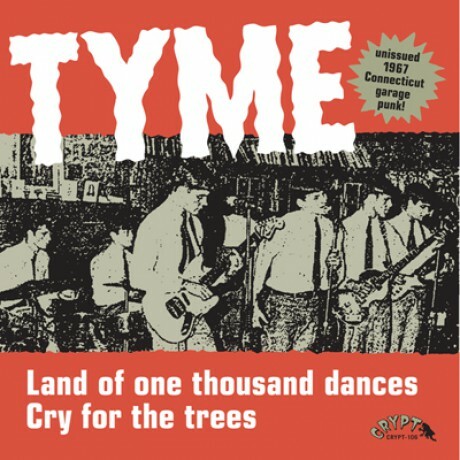 TYME "LAND OF 1000 DANCES" 7"
TYME "LAND OF 1000 DANCES"
rawassed unissued 1967 Connecticut garage PUNK BLASTER!!!!! 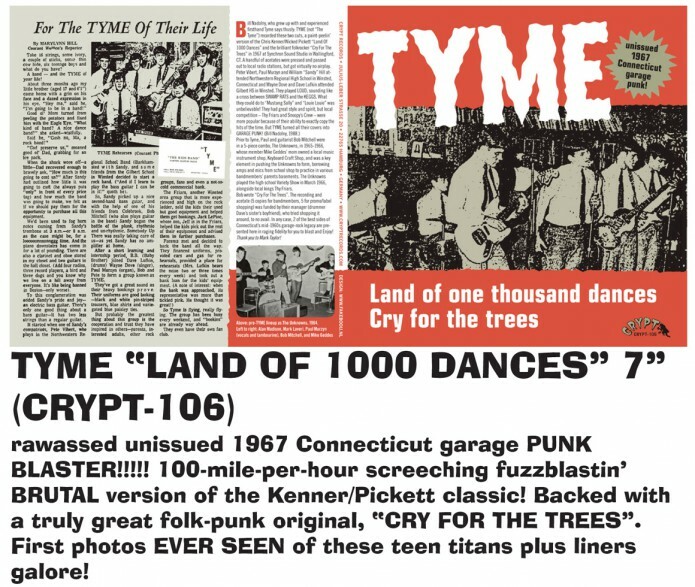 100-mile-per-hour screeching fuzzblastin’ BRUTAL version of the Kenner/Pickett classic! Backed with a truly great folk-punk original, “CRY FOR THE TREES”. First photos EVER SEEN of these teen titans plus liners galore!